Please consult with your healthcare professional before starting this or any exercise program. 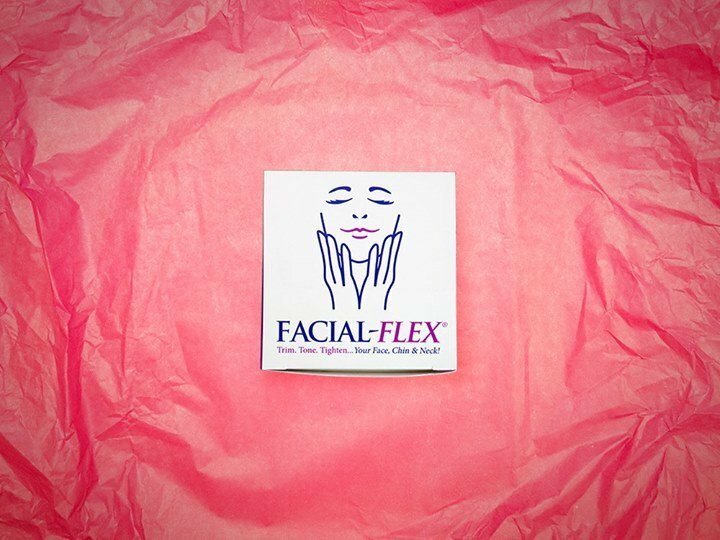 Read all of the Instructions for Use before using Facial-Flex. Spending just 2 minutes with our mouth exerciser in the morning and at night, you can expect results of facial rejuvenation in as little as 8 weeks. After cleansing your face, apply a moisturizer to your face, chin and neck. This will condition your skin for the exercise and enhance the effects of the device. Place the Facial-Flex device horizontally between your lips, resting the plastic ends in the corners of your mouth. 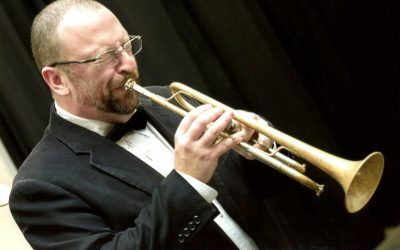 Make sure the wider part of the white mouth piece goes inside of the mouth and not on the outside. Also make sure the Flex-Band is placed properly on the mounts. Never put the device completely inside your mouth. Lean slightly forward and lift your chin until it is level. This will extend the muscles of your neck under your chin. 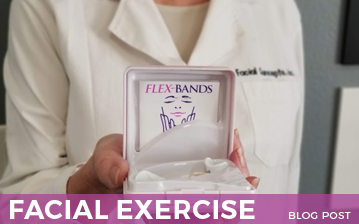 It’s important to replace your Flex-Bands once a week. Clinical studies have proven that maintaining consistent resistance through weekly replacement of the bands provides maximum benefits by increasing muscle strength and improving skin elasticity. As you increase your muscle strength, you’ll want to graduate from 6 oz. to 8 oz. and ultimately to 14 oz. Flex-Bands for maximum results. 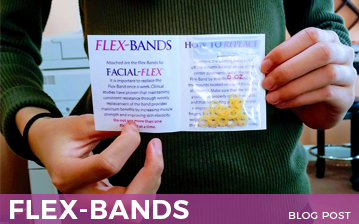 Our Flex-Bands are made specifically to generate optimal results from face exercises and should be changed according to schedule. Do not use more than one Flex-Band at a time as this could compromise the strength of the device, cause injury, and void the warranty. 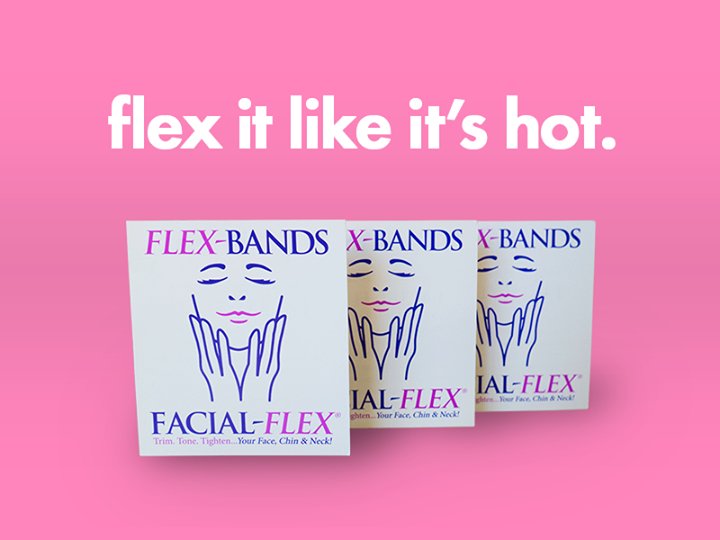 To order more bands you can contact your authorized Facial-Flex Professional, go to www.facialflex.com, or call 1-800-469-FLEX or 610-539-5869 from outside the United States. To remove the existing band, pull it off the mounts located on top of the center abutments. Install the new Flex-Band by stretching the band over the mounts located on top of the center abutments. Make sure that the progressive resistance exercise band is positioned properly on both mounts and that no binding occurs when you compress Facial-Flex between your fingers. If your Facial-Flex device should come apart, please follow these easy assembly instructions. 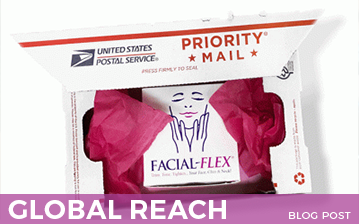 For further assistance, watch the “How to Reassemble Facial-Flex® video. 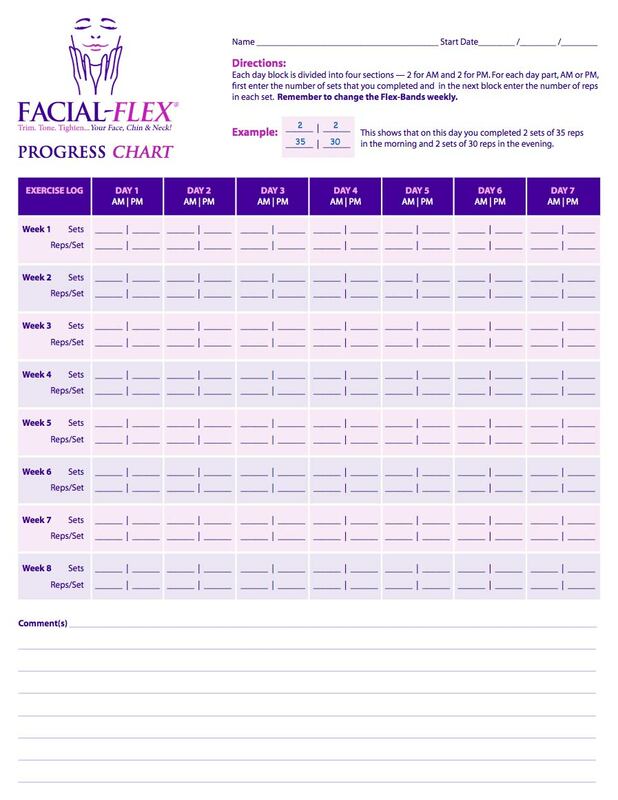 Facial-Flex is a personal exercise device. For proper hygiene, do not share with others. Apply a small amount of cooking oil to metal bars (as needed) for smoother compression of device. Exercise slowly, keeping your teeth separated about one inch and your lips away from the metal bars. Your mouth should be an oval. Avoid “puckering” your upper lip when compressing the device into the shape of an “O.” It is very important that the upper lip wraps smoothly over the top teeth while exercising. Lean forward and lift your chin until it is level to increase resistance on the chin and neck muscles. Stop exercising when your facial muscles feel tired and sore. Use care if you have chapped lips or cold sores. Never use while driving or in a moving vehicle. Replace the Flex-Band every week to maintain a consistent level of resistance. For sanitary reasons, your Facial-Flex should not be shared. To clean the device, wash it in warm (not hot) water with a mild detergent and allow it to air dry. Do not attempt to sterilize the device, expose it to temperatures above 120 degrees Fahrenheit or immerse or wash it in chemical solutions. 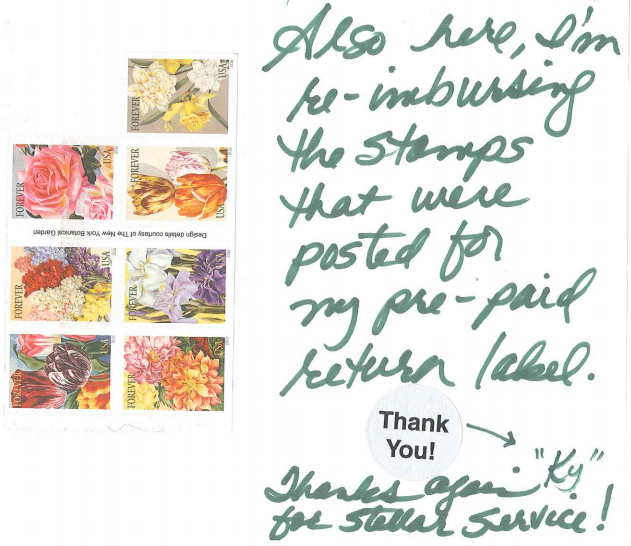 Do not use if improper cleaning and maintenance procedures have been followed. Any maintenance or cleansing of the Facial-Flex other than as recommended will result in damage to your device and will void your manufacturer’s limited warranty. Facial Concepts, Inc., its agents and representatives shall have no liability or responsibility for breakage or damage to Facial-Flex, or for any personal injury or property damage to any user, resulting from or attributable to any failure to follow the manufacturer’s recommended use, care and maintenance instructions.